We design amazing websites that not only set your company apart, but also have the tools to convert visitors into leads and leads into sales. We work with you to develop a unique program that drives visitors into becoming customers. We believe all successful websites should not only look amazing, but they should also have a sales path. This means positioning your business, highlighting the benefits of your services or products and driving your visitors to take the next step. We design amazing websites that not only set your company apart, they also have the tools to convert visitors into leads and leads into sales. We work with you to develop a unique program that drives visitors into becoming customers. We believe all successful websites should not only look amazing, but they should also have a sales path. This is a course through your website that informs visitors about your service or product, gives them reasons to buy from you, and closes the sale. Small Dog Creative builds successful websites that act as an online sales persons with a plan and a story that turns visitors into customers. In this day and age, anyone can throw up a website in an hour. We have all seen those sites and none of them have the professional polish and high-level design that establishes trust with visitors. 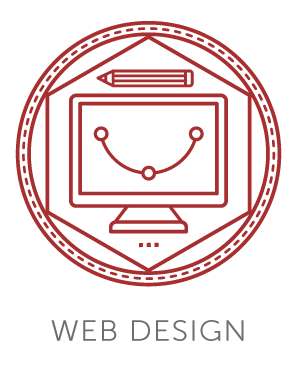 Our expert design sets the tone for your company and establishes trust with your audience. Most importantly, it establishes the perceived value of your product or service. A small investment in design can be one of the best investments your company will make. With every website we build, incredible design and sales intelligence are brought together to create real impact. Just like all your other marketing efforts, your website needs to start with research. Which is why we start from the beginning and conduct a marketing analysis. We establish a complete view of your marketing programs, brand positioning and how best to represent your company online. We believe well designed branding materials convey feelings; they have tone, lighting, texture and get messages across before a single word is read on the page. We believe the design of the website speaks volumes about the company. In today’s world your website isn’t just an online presence, it is the face of your company. Don’t just build a website, build a SMART website that walks your visitors through the sales path to your door. "Small Dog Creative built two incredible websites for us. They approach projects with forethought, guided us in the right direction and kept us from making expensive mistakes. They truly provide creativity, consulting and project management at a 5-star level!" "Finding a reliable, attentive and professional web development company is always challenging. We hit the jackpot with Anya and her team at Small Dog Creative. They're fast, flexible, and always deliver the goods. We can't recommend them highly enough!" "When it comes to branding or website work I need for a client, there is only one vendor I feel confident using... Small Dog Creative. They help me plow through a laundry list of needs from creating new websites, refreshing old ones, or creating marketing branding from scratch. They help make my job easier and I get great client results!" What Can a Powerful Online Presence Do For Your Business?